Join us on November 19, at 6:30 p.m. for a very special evening at the Durham Public Library as Mary Ann explains why there is no such thing as Italian food. 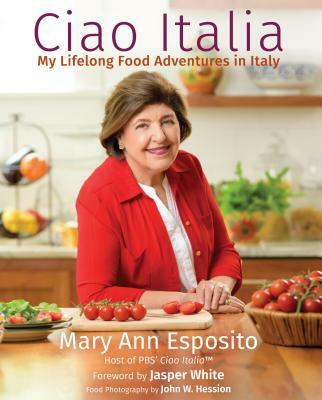 Mary Ann will also be signing her most recent cookbook, Ciao Italia Family Classics, proceeds from which will benefit the Durham Public Library. It's the perfect gift for someone on your holiday shopping list. Come early in time to park, get your free raffle ticket, and take a peek at Ciao Italia Family Classics. This is one program you won't want to miss! The Durham Public Library will be collecting non-perishable food items at the FOOD EVENT. Donations will be delivered to the local food pantries.